Rescue dehydrated, dull and dry skin with the 2 Step Water Splash Mask from Korean beauty brand Skin79. 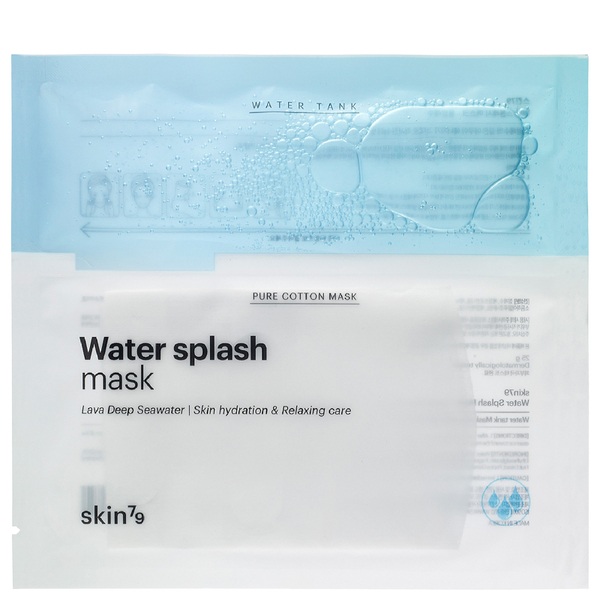 The innovative dual pouch contains a pure cotton sheet mask and a water tank section to maintain freshness and avoid the use of preservatives. Fortified with Lava Sea Water, it delivers an intensive cooling sensation while infusing skin with essential nutrients, moisture and minerals. Helping to maintain optimum hydration levels, skin feels soothed, revitalised and replenished.